Credit: By Dmitry Baranovskiy on Flickr. Some rights reserved. 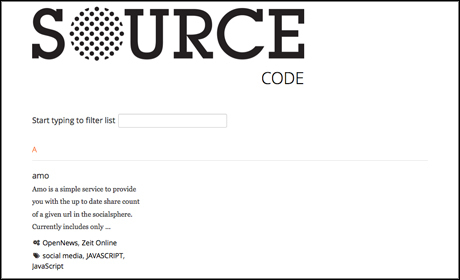 A new website called Source, which aims to "shine a spotlight" on code being used by journalists, developers and designers in the carrying out news-related projects, was launched this week. The site has been created by the Knight-Mozilla OpenNews project. Speaking about its development earlier this year on MediaShift Idea Lab, director of the Knight Mozilla OpenNews project Dan Sinker said the site would combine "in-depth articles that dig into the hows, whys and whos of journalistic development with an index of open news code repositories". Launched on Tuesday (16 October), the responsive site includes "an index of newsdev source code", which site users can filter by search, as well as "code walk-throughs and project breakdowns from journalist-coders". The site adds that there are also plans to add "a user-editable code index, event listings, and lots more". 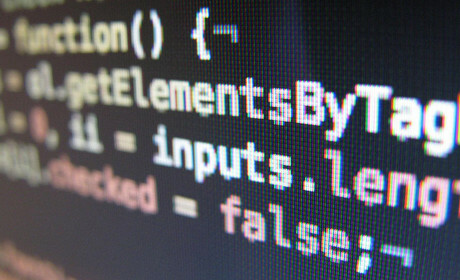 Sinker told Journalism.co.uk that within the news industry "there hasn't been a lot of effort to see the larger connections between the code, the people, the organisations and the context that created it all". "While the community of people writing all this code is vibrant, it also has existed on the margins. At Source, we wanted to shine a spotlight on both the code and the community, so we built that connection right into the database of the site itself - everything is interconnected: articles with the code they're about, code with the people that wrote it, people with the organisations they work with. It allows you to view this world in all sorts of great ways." Site editor Erin Kissane added that "journalism coders are swamped with work and low on time for documenting their projects and connecting their work with others". "We aim to make those processes easier, by publishing project walk-throughs and interviews and by maintaining a searchable, filterable index of news development projects."